Rio Salado College | RioNews: Celebrate Hispanic Heritage Month! 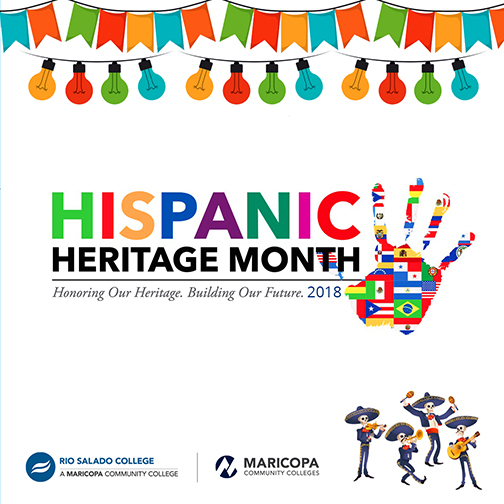 Join Rio Salado and the Maricopa Community Colleges in celebrating National Hispanic Heritage Month with food, music and fun-- September 15-October 15! Here’s a look at what we have planned for you! Guitar performances will take place 12-1 p.m. at the Rio Salado Tempe headquarters amphitheater, just outside of the Café @ Rio. We take pause each year to celebrate this month by recognizing the dynamic history, cultures and contributions of Americans whose ancestors came from Spain, Mexico, the Caribbean, Central America and South America. 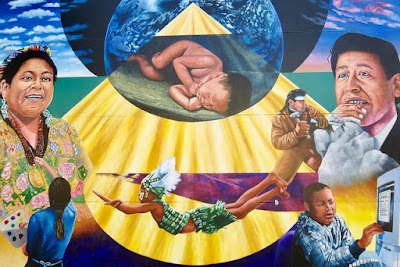 Recognition of Hispanic Heritage Week began under President Lyndon Johnson in 1968 and was expanded to a month-long celebration by President Ronald Reagan in 1988. ¡Que siga la tradición! Mural Artist: Daniel Galvez Photo by Fabrice Florin under a CC-BY-SA license. Learn more intriguing facts and insights by exploring this Rio Salado Library Hispanic Heritage Month Topic Guide. Take part in these other events hosted by the Maricopa Community Colleges!